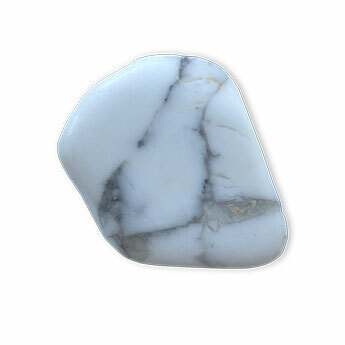 White Howlite promotes emotional balance and calmness. Howlite is a perfect stone to use when you need to reduce anxiety, tension or stress. It can be used to facilitate awareness, encourage emotional expression and assist in the elimination of pain or anger. Howlite is also known to help with sleep and insomnia.